FLINT, Michigan— Coaching changes be darned. The fan favorite at Mott Community College, sophomore Mike Brigham, will play out his collegiate career at IPFW in Fort Wayne. Brigham, who had been recruited by several mid-major schools, was arguably the most important player on a team that won 62 games in two seasons. From Danville, Illinois, Brigham was recruited as a football player early. 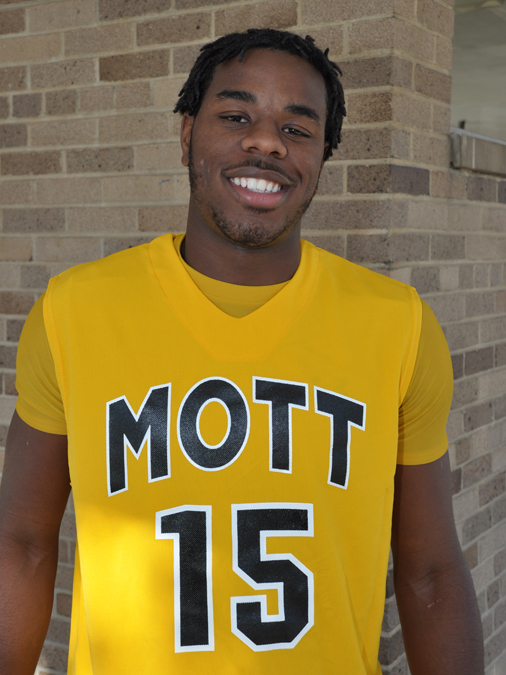 At 6-5 and 200 pounds, he’d be an exciting recruit on the gridiron; but, he chose basketball and Mott fans are glad he did. Leaving Mott, Brigham is a complete basketball player with a litany of moves around the basket and a penchant for making his team better. He scored the bulk of his points in the paint for the Bears but, as anyone around the program will tell you, his future is on the wing. I’d love to see him develop physically and skill-wise in line with former Bear Thomas Kennedy. As many of you know, several of our GLHers also spend most of the spring and summer (or so it seems) all over the state with our AAU program. Over the weekend we had our first tournament in Mt. Pleasant and, needless to say, it wasn’t always pretty. What was, however, was the play of our U-16 team. This group has talent and heart, which will make them a tough out for anyone. The team was led by Flint Northern’s J.D. 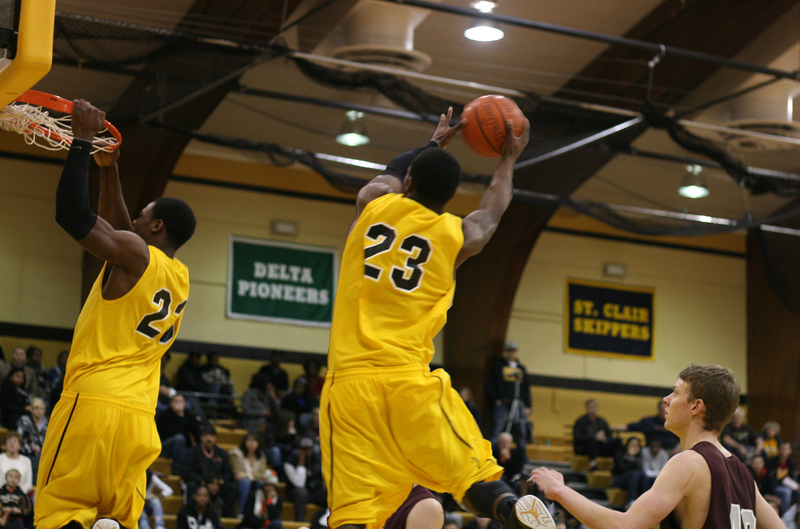 Tisdale, who averaged more than 20 points and five assists in five games. He was the most talented player I saw in the U-16 bracket. He totally dominated the second half against CDBA to give the Lakers a come-from-behind victory. He’s easily the best PG prospect we’ve ever had, and he plays the post for his high school team. The quick forward tandem of Zeshawn Parker-Jones (Lapeer West) and Rayshon Thomas (IAF) is really tough to defend. The team also boasts a stable of guards including Max Cummings (Swartz Creek), Cullen Turcyzn (Lapeer West) and Raheen Dudley (Flint Northwestern). They lost in the silver final to ACB in a very competitive and well-played game. The Mega Trophy Classic is coming to The Cage Fieldhouse on April 30th. The tournament is hosted by Michigan Madness and The Cage. The cost is $225 for a minimum of three game. The tournament is for 5th through 9th grade boys. You can register by calling The Cage at 810-630-2243. This tournament was sold out last year. Huge trophies for all winners. Call today! One of the state’s top point guards in the 2011 class finally put to rest the speculation about his future today. Flint Powers’ Patrick Lucas-Perry announced that he will be a student-athlete at the University of Pennsylvania next season. Penn is considered to be among the top schools in the country, with arguably the finest business program anywhere. Lucas-Perry said that his choices came down to Oakland University and Penn but ultimately Penn presented the best package. Mott Community College sophomore Doug Anderson, without a doubt the most electrifying athlete I’ve ever seen on a basketball court, will play for the University of Detroit next season. Anderson, who prepped at Kalamazoo Central, had two very solid seasons at Mott. Anderson led the team in scoring both seasons and has improved his overall skillset, even mixing in a fairly reliable outside shot. With Anderson, Detroit will have arguably the most athletic starting five in the nation — Ray McCallum Jr. and Nick Minnerath are both tremendous athletes. A meeting of the Saginaw Valley League today would decide the fate of five local high schools and their bids to join the conference. All five (Carman-Ainsworth, Davison, Flushing, Flint Powers and Flint Northwestern) will, pending votes of individual school boards, join the conference starting in 2012. Four of the five, excepting Northwestern, are members of the Big Nine Conference. The vote, taken at the AD meeting at Apple Mountain in Freeland, was unanimous. The vote advances to the school boards for approval. The addition would create a 15-team league, which would split into two separate divisions, although teams would be encouraged to fill open dates with SVL teams from the other division. Patrick Lucas Perry, Flint Powers’ senior point guard, will announce where he will be attending college next year on Wednesday at 3:45 p.m. in the school’s library on Carpenter Road. Oddly enough, the last time I was in that library was back when his older brother, Laval, committed to Arizona. Where do you think the younger Lucas-Perry will end up? About time, too. Tom Gores (from Genesee, incidentally) has agreed to buy the Detroit Pistons. The deal still has to approved by the NBA, but it looks like the deal will close by the end of June. When I last wrote, Carmelo was still a Nugget, and the Pistons faithful were hoping to land a couple players and maybe a draft pick while unloading Rip Hamilton or Tayshaun Prince. Of course, this didn’t happen, and I have to wonder whether or not the state of limbo the team was in kept Joe Dumars from making any moves. Fans and players were left disappointed. And that’s when an ugly season got even uglier. Will Steve Schmidt be a candidate for vacant EMU post? Though not in those exact words, I must have had six or seven different people ask me if longtime head coach at Mott, Steve Schmidt, would be a candidate to be the next coach at Eastern Michigan University. If history is any indication, he probably will. The last time a MAC head coaching position in Michigan opened up, at CMU back in 2006, Schmidt was a finalist. Since being passed over in favor of Ernie Zeigler, Schmidt has won 158 games (an average of more than 31 per season) and two national titles. Just this past March, his team finished second nationally with a record of 33-3. I think Schmidt could immediately bring a spark to EMU’s program just like he has at Mott over the last five seasons. 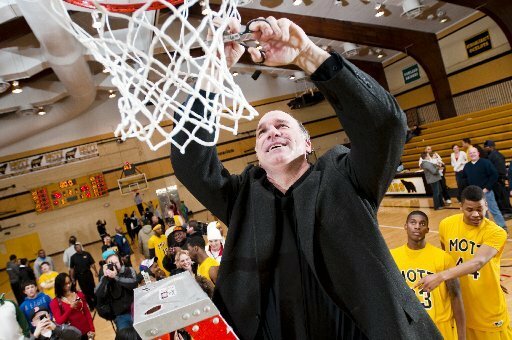 Schmidt has three really important things going for him: Not only did he turn Mott into a JUCO powerhouse, but his brand of basketball is a product that people want to see. Finally, he has demonstrated the ability to not only graduate players, but to keep them in the sports section (not the news section) of the paper. Even though it would be a great loss for the Flint area, EMU would increase its fan base by a factor of 10 overnight. There are no more loyal fans in this state than Schmidt’s. • Dane Fife, head coach at IPFW. • Todd Lickliter, former EMU assistant coach. Also coached at Butler and Iowa. • Dwayne Stephens, MSU assistant coach.